Welcome to Spartanburg Water’s Customer Service Department. We’re here to help you start or transfer services, as well as provide you with easy and efficient ways to pay your bill. Customer Service Representatives are available to assist customers by phone or in person with requests to establish or disconnect service, answer billing questions, accept payments by debit/credit card, and provide additional information regarding utility accounts and service. Customers may also access their account information by phone using the automated account information line or online by clicking here. 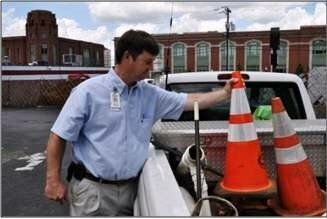 Spartanburg Water recently achieved its highest customer satisfaction level since the inception of the research study in 2001 with 91 percent of all customers indicating they are very satisfied with the services that we’re here to provide you. When compared to other area utilities, Spartanburg Water excels. Customer Service representatives will work with anyone experiencing a valid hardship in paying a bill so that water and sewer service is not disrupted.